Open your wallets. Wide. Germany's premiere stuffed toy maker Steiff is releasing a Godzilla plushie for a whopping 51,300 yen, or $535. 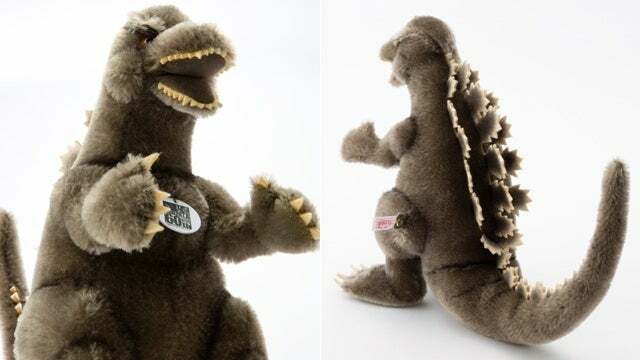 According to website Response, the Godzilla plush toy will mark the character's 60th anniversary. Measuring 50cm tall and covered in mohair, each Godzilla is made by hand by Steiff's master artisans. Steiff, Response notes, sold the world's first teddy bear. This November, the stuffed Godzilla will go on sale in only Japan, where the toy will be limited to 1954 units. The first Godzilla film was released in Japan in 1954. 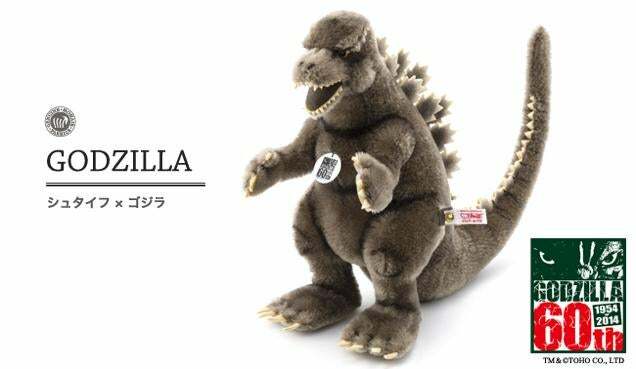 As cute as the plushie Godzilla is, this isn't a kiddy's toy, but a pricey collector's item. Lower the price by 95% and I'll take one!